I have to say this once again. I am not such a Jazz fan, and my ears are not used dissecting and analyzing jazz music to the point where Jazz fans will gain further knowledge from my words, but I will write about the entire performance from a different point of view, one closer to the realm of this music Blog. I am happy to do so because Va Fongool never fail to deliver interesting and remarkable albums, be it free jazz acts or harsh noise bombs. 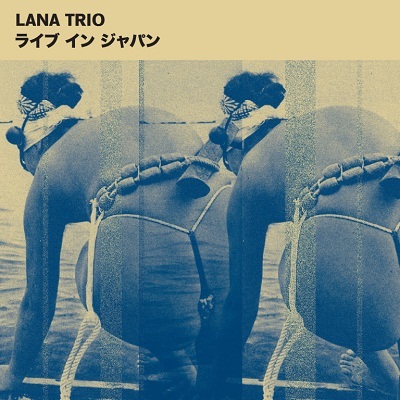 So Lana Trio begins with a minimal play of balance between piano keys, sporadic drum hits and trombone. “Candyism” begins with a rather energetic gathering of these three instruments (mastered by Andreas Wildhagen, Kjetil Jerve and Henrik Munkeby Norsebo), but as time goes by the music becomes more and more eerie, dark, almost absent of sound, down to the point where it seems like Lana Trio is summoning some sort of a demon in this live performance. “Meanwhile, Somewhere” begins with a silent and unsettling opening, interrupted by low piano growls that grow into something as uneasy as ballroom music that is distorted through space and time, becoming an uneasy, mysterious and even sinister vertigo. On “Through Sound” the music becomes richer and more illuminated up to the point of a sonic explosion. Lana Trio are wild and offer a fine spectacle for us to enjoy, in the tradition of the great Va Fongool. Also, Dolphin hunters, like those seen in the inner part of the album’s sleeve, are worthless assholes.